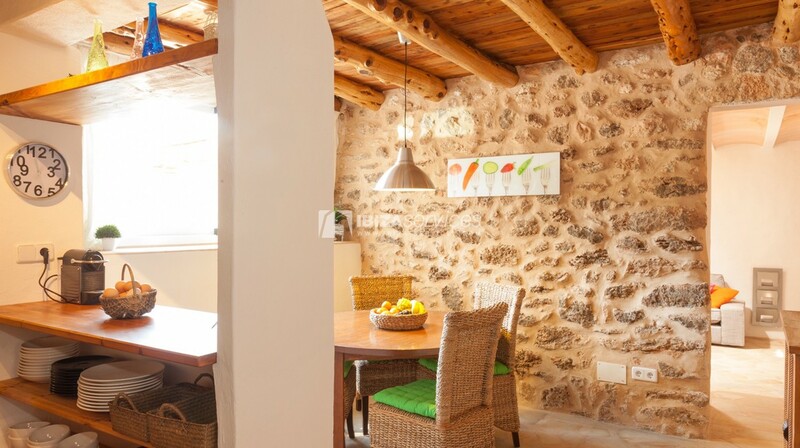 Small ibicencan style cottage built using the natural materials such as stone and sabina wood. 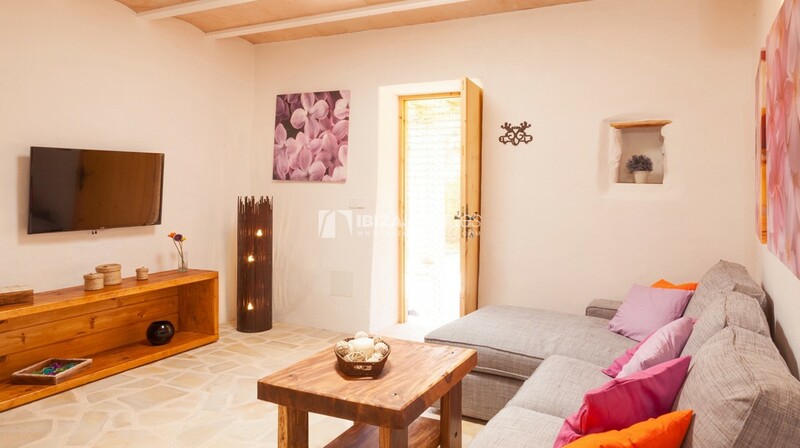 Living area of 150 m2 with two bedrooms with air conditioning, two shower rooms, lounge, kitchen / dinning area and laundry room. Outside, under the sabina porch there is a table ideal for dinning “al fresco”. In the garden, an inflatable swimming pool for the children and a comfortable chill out to relax and enjoy the tranquility. 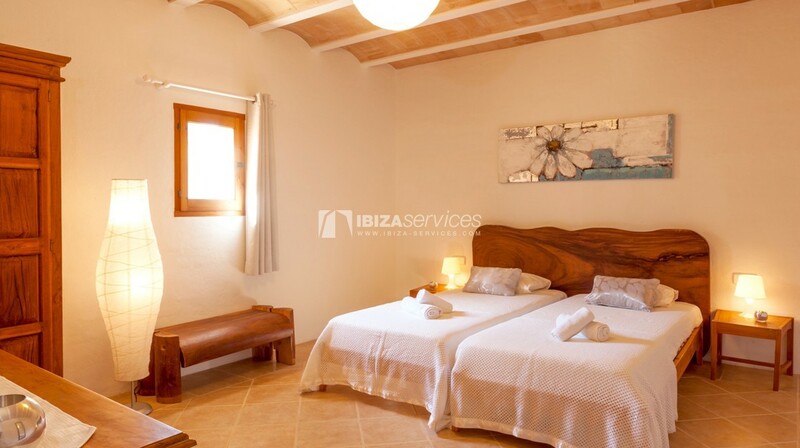 Villa is situated in a beautiful and peaceful setting of 10 hectares with views to the country side, ideal to rest, escape and enjoy the authentic island of Ibiza. 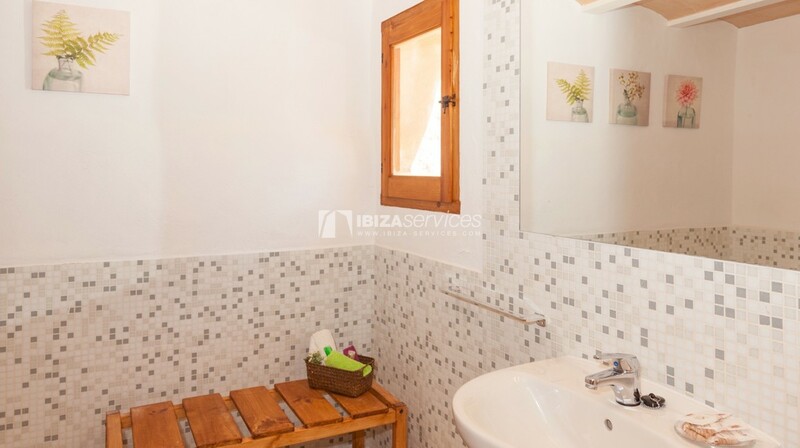 – 2 double bedrooms. One en-suite with “king size” bed 200x200cm and satellite TV. One twin bedroom, two beds of 90x200cm with possibility of converting into a double bed 180x200cm. 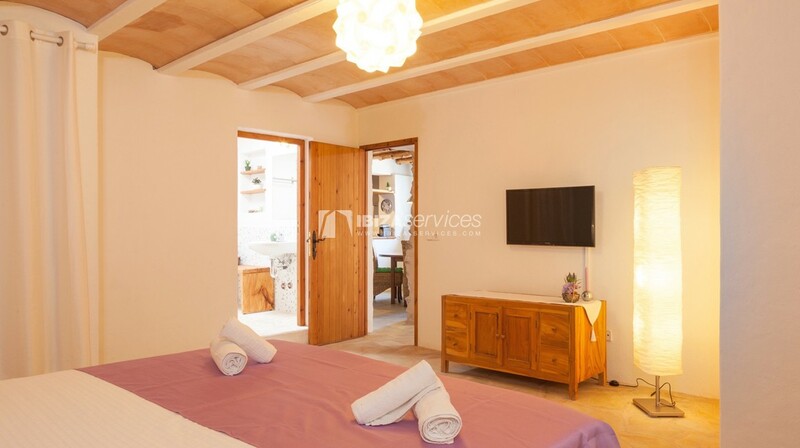 – Air conditioning hot and cold in both bedrooms. 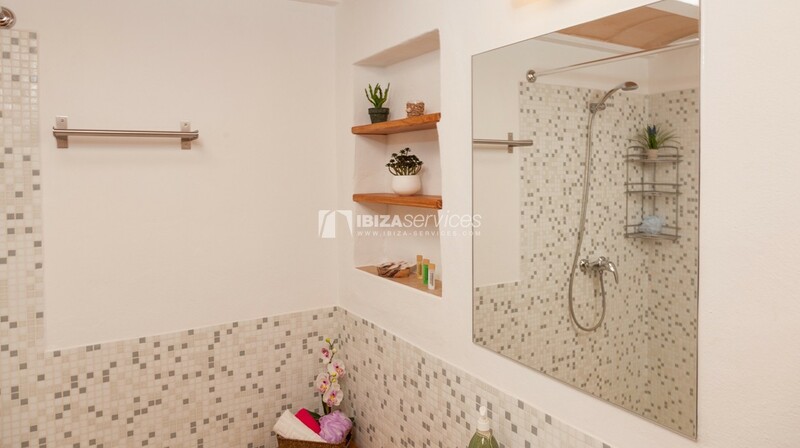 – 2 bathrooms with shower (one en-suite). 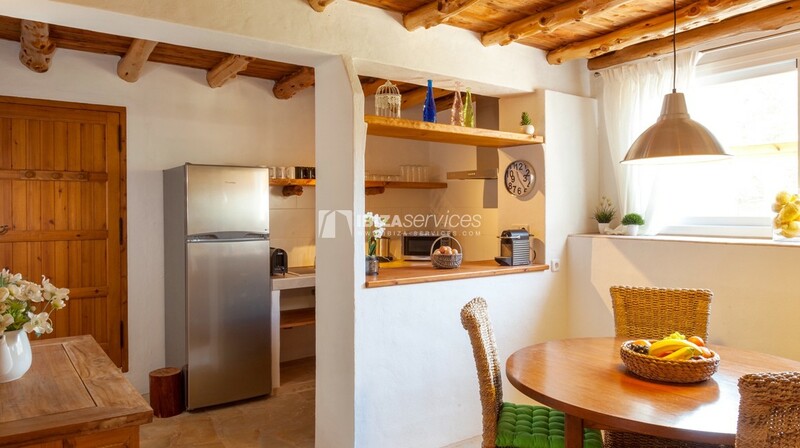 – Open kitchen equipped with induction hob, microwave oven, fridge freezer, Nespresso coffee machine, toaster, kettle, etc. Dinning area with table for four people. – Lounge area with chaise longue sofa, TV Led 42″ HD, Astra SAT TV, Music system HIFI mp3 player and iPhone adaptors. 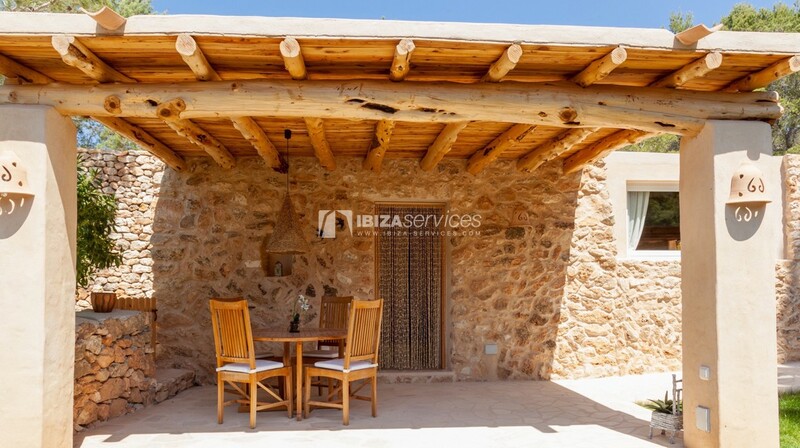 – Outdoor area with solarium area in garden, spacious chill-out, wooden sun loungers, BBQ and dining table under porch. – Inflatable swimming pool for children. – Parking area for 2 cars.